This post originally appeared on NQCC Vice-President Peter Hanley's blog. Last Saturday the North Queensland Conservation Council hosted a screening of “Chasing Coral”, a recently released film that documents the disastrous bleaching events that have destroyed large areas of coral reef around the world. Following the film there was a panel discussion featuring Dr John ”Charlie” Veron, Tony Fontes, a tourism operator from Airlie Beach and Dr David Wachenfeld, the Director of Reef Recovery at the Great Barrier Reef Marine Park Authority. Charlie Veron, known by many as the godfather of the Great Barrier Reef, has spent forty years working on coral reefs identifying one third of the world’s known coral species. One very poignant moment came towards the end of the evening when in response to a question, Charlie said that if we continue to carry on in the way we are now, in fifteen years the Great Barrier Reef will be gone. In the past 15 years ocean temperatures have increased by one degree and we have had three major bleaching episodes – in 15 years the ocean temperature will have increased by at least one more degree and there is no way he can see the coral surviving. The silence was deafening. The story of “Chasing Coral” began two years ago when underwater photographer Richard Veivers sent two photos to award winning documentary director Jeff Orlowski– one photo of live reef and a photo of the same reef taken several months later after a bleaching event. Both men had the same thought – if they could document the process of bleaching as it occurred, the dramatic impact might convince people around the world to take meaningful action on climate change before it is too late. They then went about recruiting a truly inspiring team to help them with their ambitious project. The film begins with some interviews with coral reef researchers and beautiful photos of existing reef to help viewers understand the enormity of the danger facing the world’s coral reefs. We then follow the team as they set out to record the process of coral bleaching using time lapse photography. 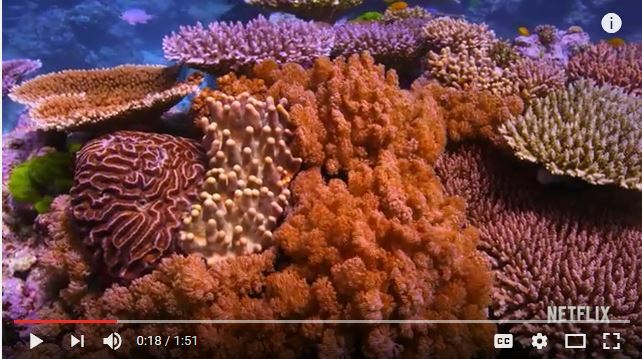 Towards the end of “Chasing Coral” we saw the impact of some of the photography recorded in the film on an audience at the 2016 International Symposium on Coral Reefs held in Hawaii. 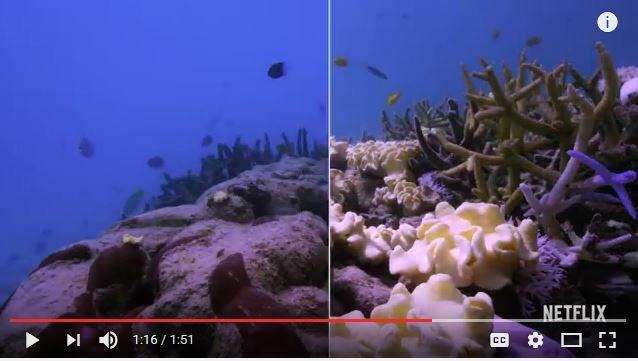 Footage showing the before and after shots of coral bleaching had the audience in tears. The film had the same impact on the audience at Saturday’s screening. The audience last Saturday was young with most people being under thirty. Their questions came thick and fast – what could they do and was there any hope. While Charlie Veron was pessimistic as already noted, he saw hope in the age of the audience and said that it was important that they do all they can to educate others about the reality of climate change and do all they can to save the reef. Tony Fontes still had hope and received thunderous applause when he said it was time to put a line in the sand – we need to go to our politicians and tell them if they are not committed to doing all they can to slow climate change, then we are not going to vote for them. He got more applause when he said we have to stop the Adani coalmine in the Galilee Basin. David Wachenfeld saw hope in the Paris Climate accord. He said we need to be positive about the fact that for the first time ever the nations of the world have come together and agreed that we need a plan to limit increase in the earth’s temperature to less than two degrees. Panellists saw hope also in the uptake of renewable energy in countries everywhere. 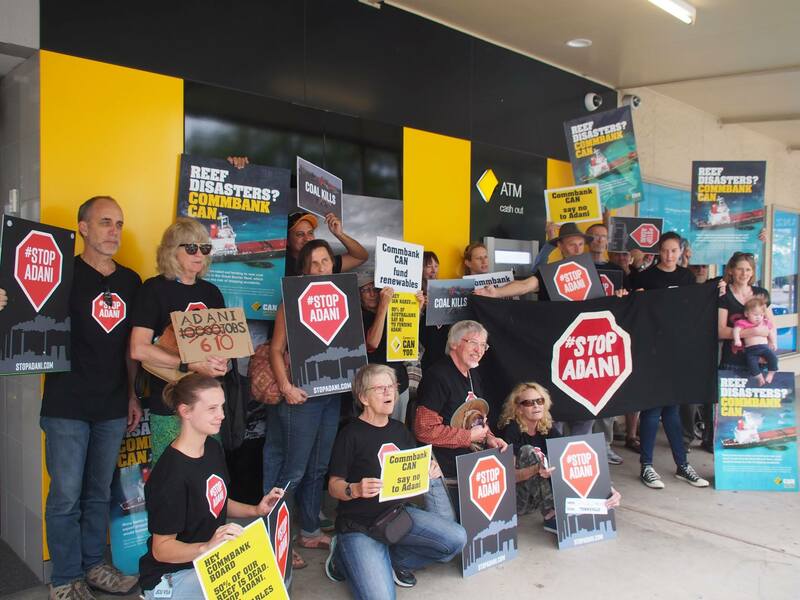 They also agreed that if Australian governments were serious about responding to the threat of climate change then allowing the Adani mine to proceed was definitely giving the wrong signal. Let’s help the makers of the film achieve their vision of changing the way we all think about climate change.